Ottawa Humane Society: Here Come the Pets in Black! Here Come the Pets in Black! This month, the Pets in Black (PIB) team will be erasing all your preconceived notions about black animals, from unlucky onyx kitties to phantom pitch pooches. These PIBs are the black animal reputation defenders. And contrary to the myths about black kitties and ghostly midnight hounds, they make great pets. With this month's adoption special, you'll forget all about your misconceptions about black animals. 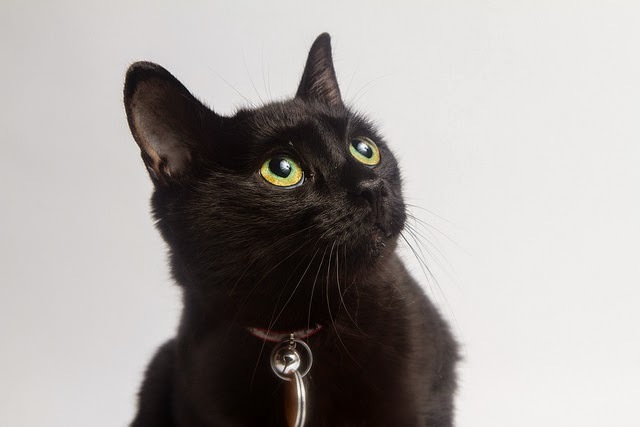 When you adopt a black cat or dog from the Ottawa Humane Society this month, you’ll take home an adoption starter that will turn your vivid memories about black animals into fantasies. Winnie is at the OHS waiting for her forever home. They walk in shadow but don’t fear them, cheer them, these Pets in Black — they really make great companions, just like their fairer counterparts! Come meet your match at the OHS at 245 West Hunt Club Rd. this month and show some love to the PIBs.